After the first few days on the eastern side of the island (KI Part 1), the sunshine came out as we moved down to the western end of the island. Stopping at Seal Bay on our way. 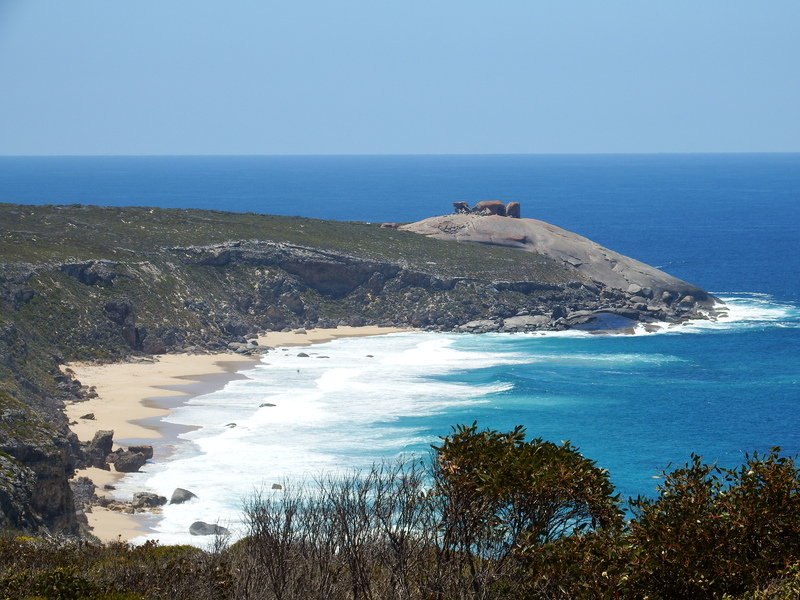 Seal Bay is the top tourist attraction on KI. 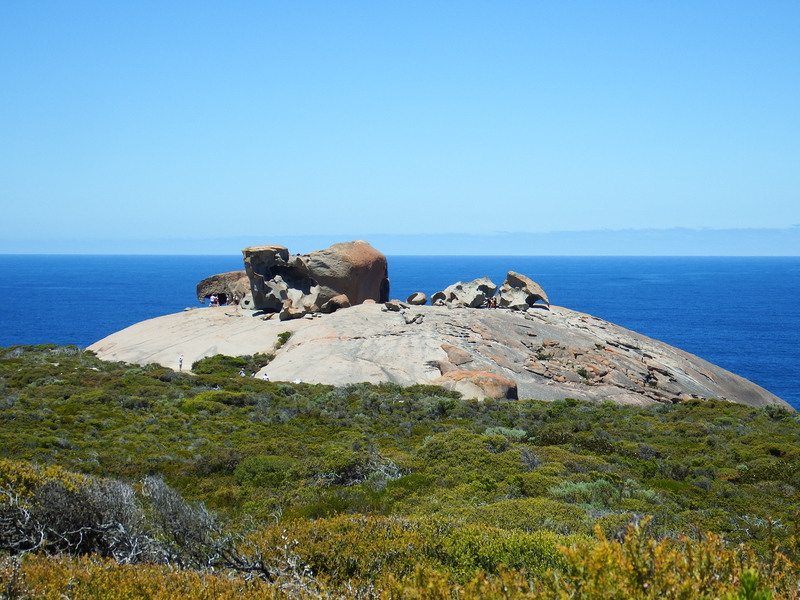 However it is actually Australian Sea-lions that inhabit this area. 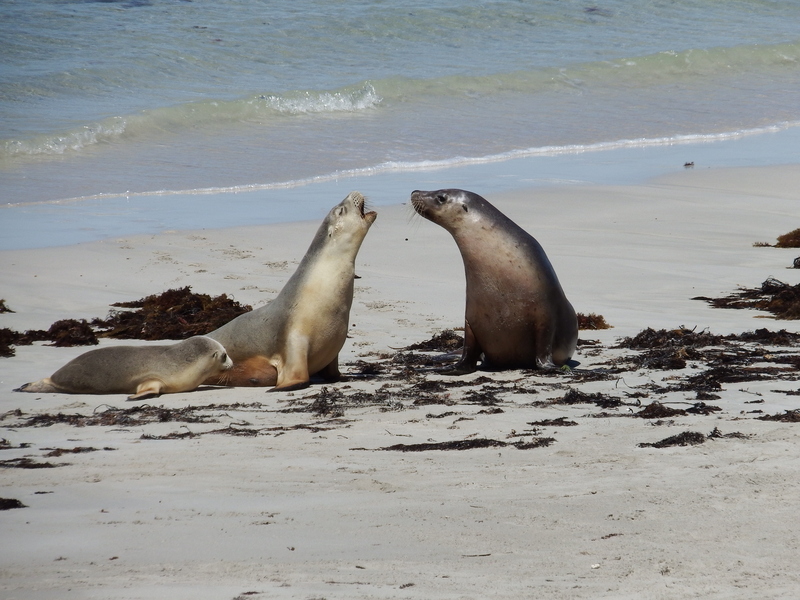 This is where you can take a guided tour and walk along the beach for a relatively close up view of these animals. They were heavily hunted in the 1800’s and their population still hasn’t recovered, so they remain a protected species. 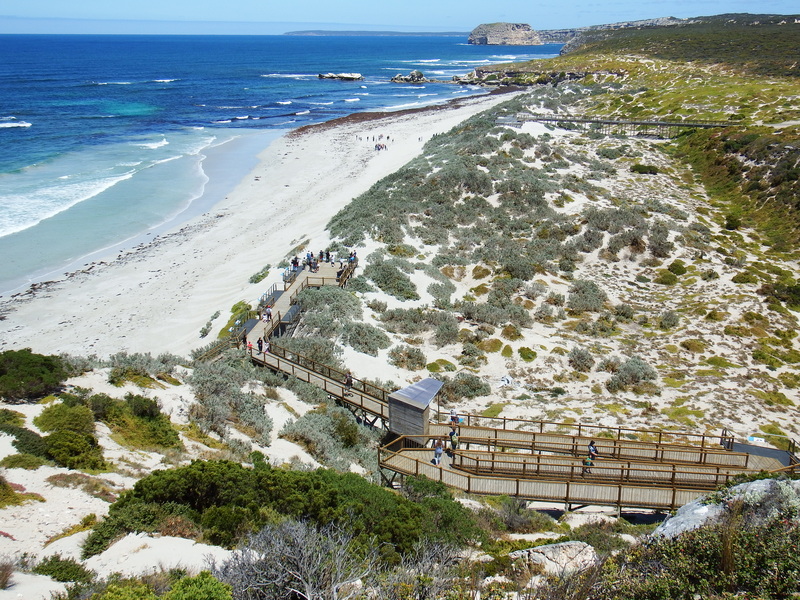 You can also take a walk on the boardwalk and get a spectacular view of the bay. 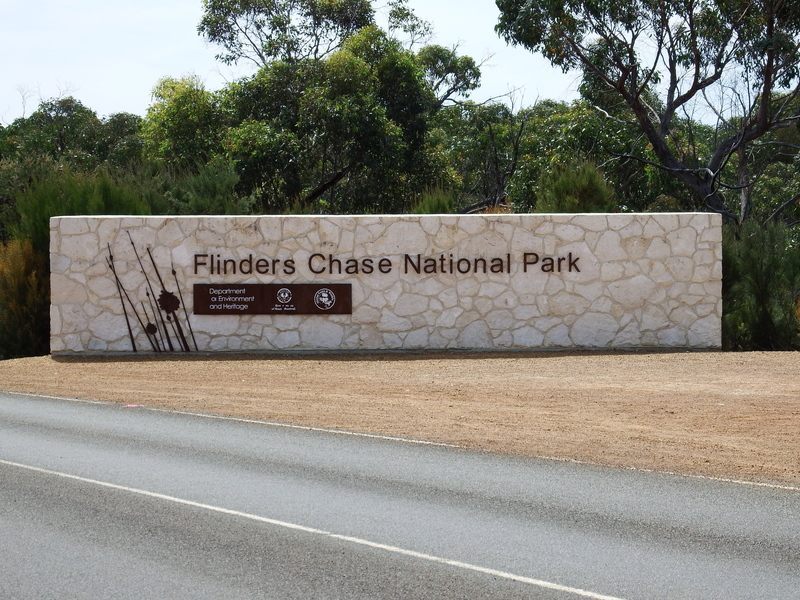 A large portion of KI is zoned as national park, and the national park on the island is Flinders Chase. Wildlife is in abundance in this park, and you would be very unlucky not to see any. 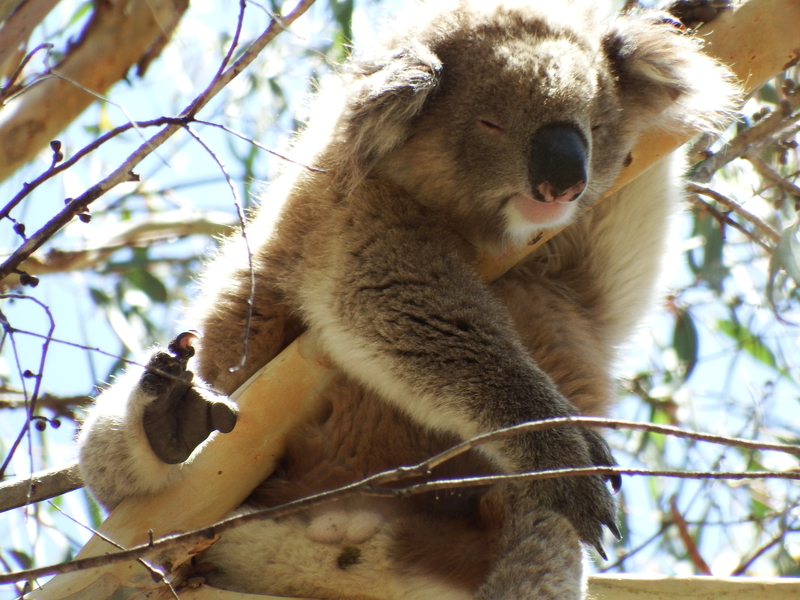 Our first encounter was with this koala who was snoozing in a tree in the visitor centre car park when we stopped to check in. 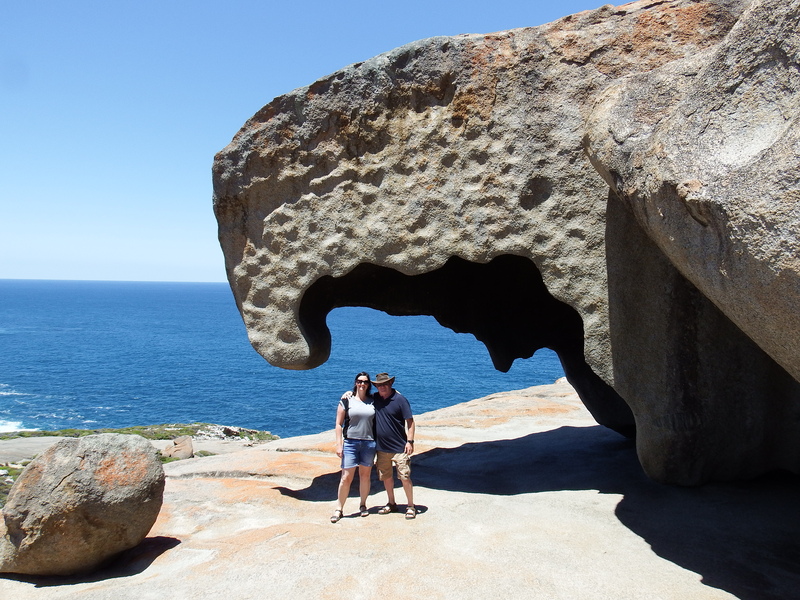 These rocks are, as the name suggests, are remarkable. 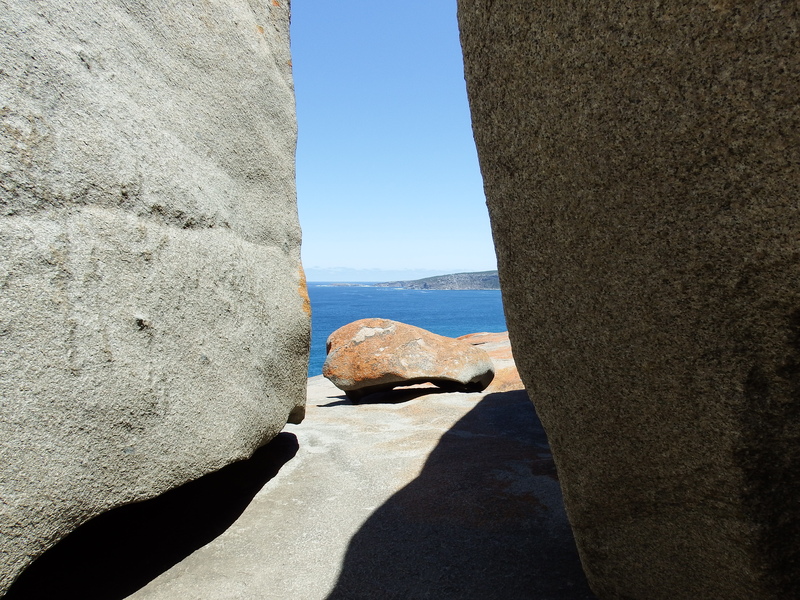 Weather worn they have been shaped by the sea and winds for time unknown. 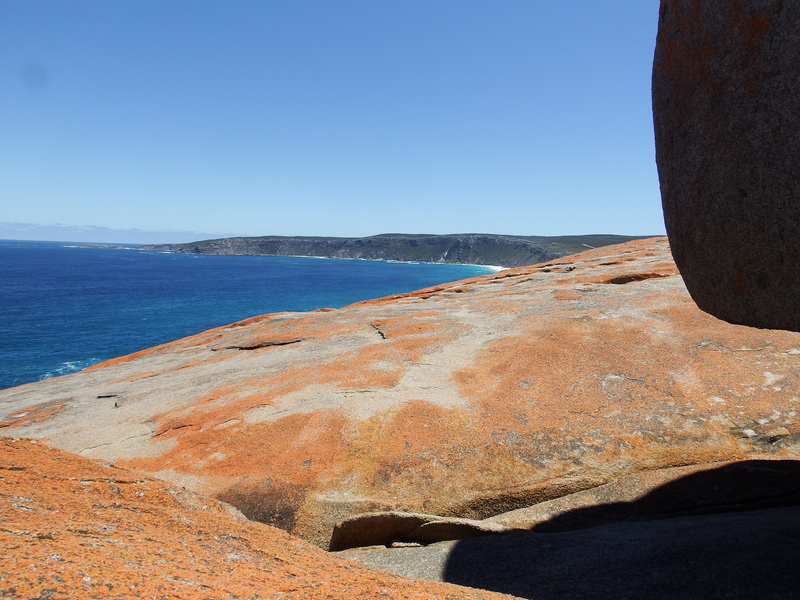 There is a reddish-orange colour to the rocks which is a result of a algae like growth. 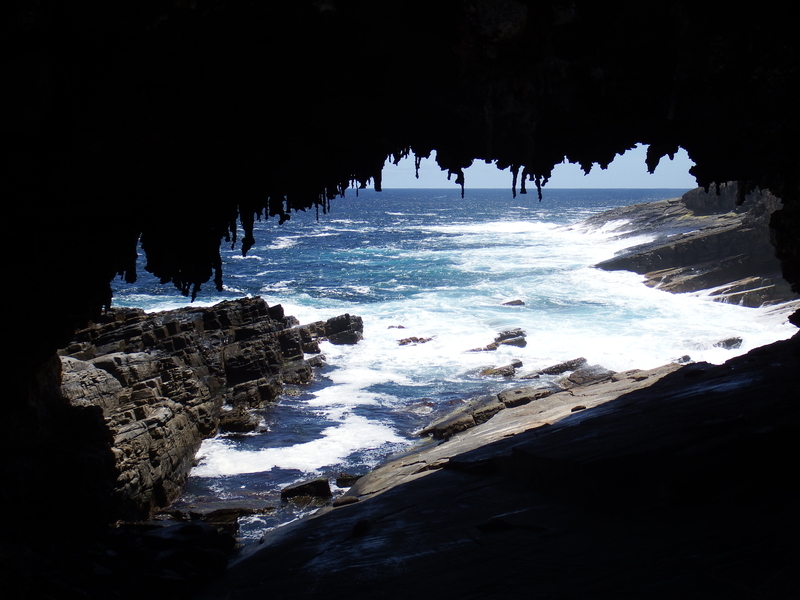 You can still walk around in and amongst the rocks, however it can get very slippery when wet and there have been incidents where tourists have slipped and fallen to their death. 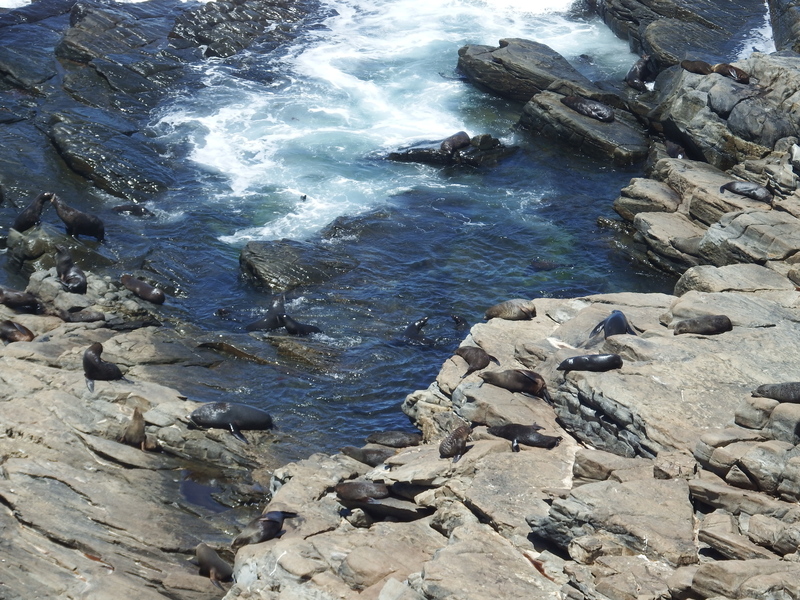 The arch itself is an interesting geological formation, but really, everyone is here to see the seals. 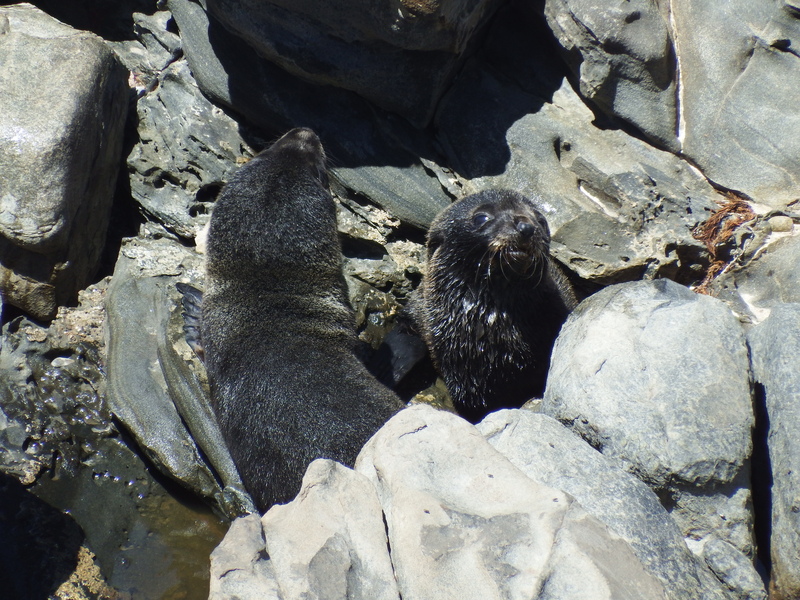 There is a colony of New Zealand fur seals that bask on the rocks. They appear more active than the sea-lions at Seal Bay as they have thicker coats, so need to take a cooling dunk in the sea more often. 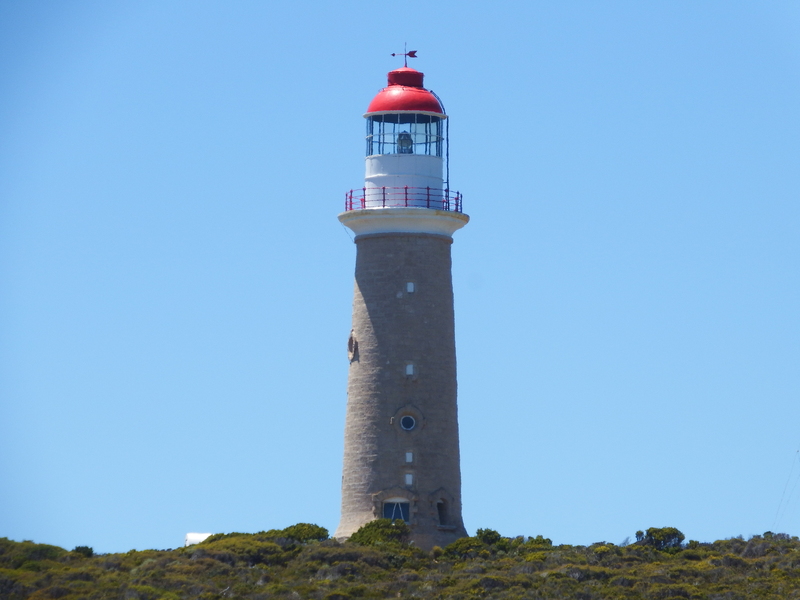 Just near the Admirals Arch is the Cape de Coudic lighthouse. There are some great walking trails around the lighthouse and across to Weirs Point. Weirs Point is where they used to hoist supplies up from the boats that only arrived every three months. There are some ruins of the store house were the supplies were kept. Apparently there were some disagreements between the three families that ran the lighthouse and they had to separate the supplies into three lockable sections. 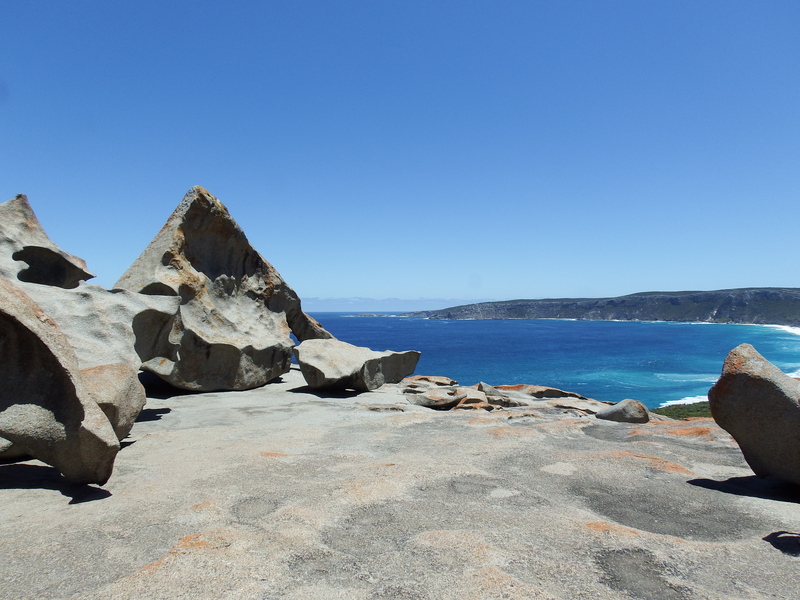 Apart from the ruins there is also a look out point across the southern coast line to the remarkable rocks that is worth a visit. 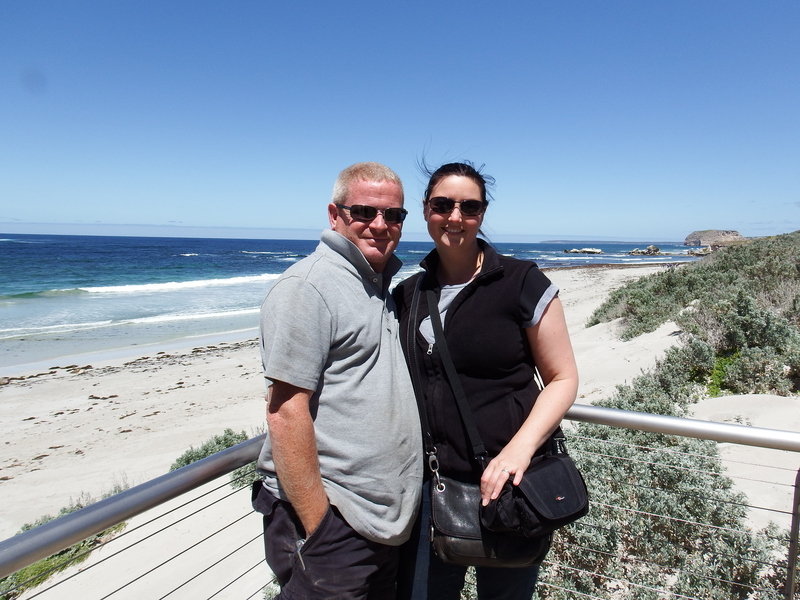 There are a number of camp sites located in the Flinders Chase national park, but we stayed at Rocky River. 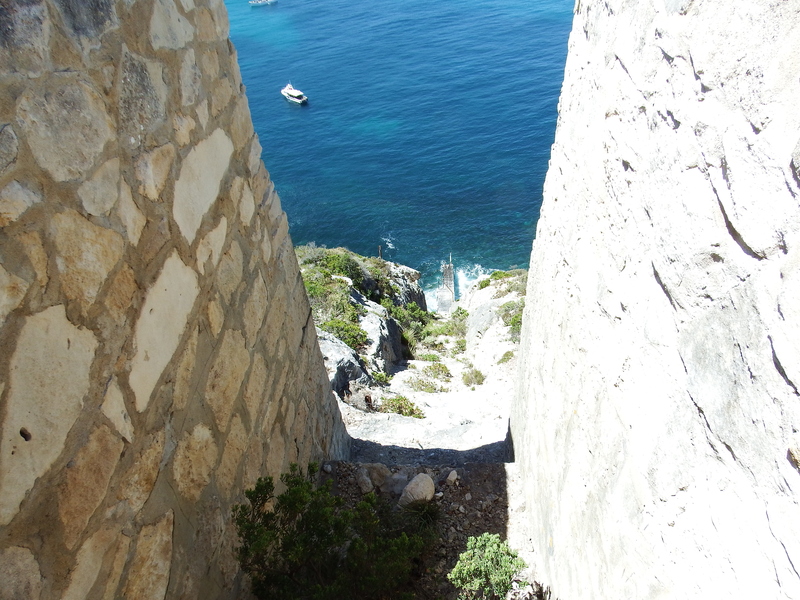 This is the most central one and also the only one with shower facilities. 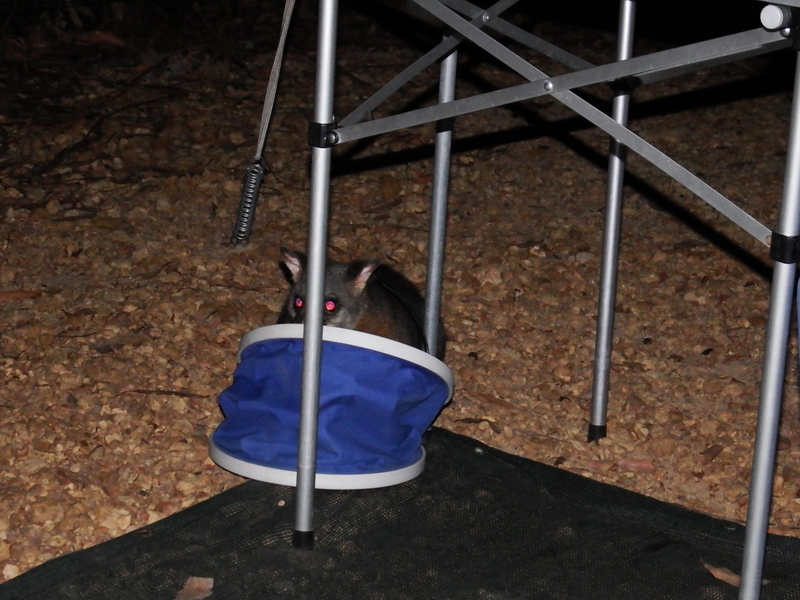 The wildlife (possums) has got used to campers and learnt how to steal food, so we had to make sure that all rubbish and food was secured each night. Even so we still found possum paw prints on the kitchen bench each morning and even caught this guy having a drink from our bucket. 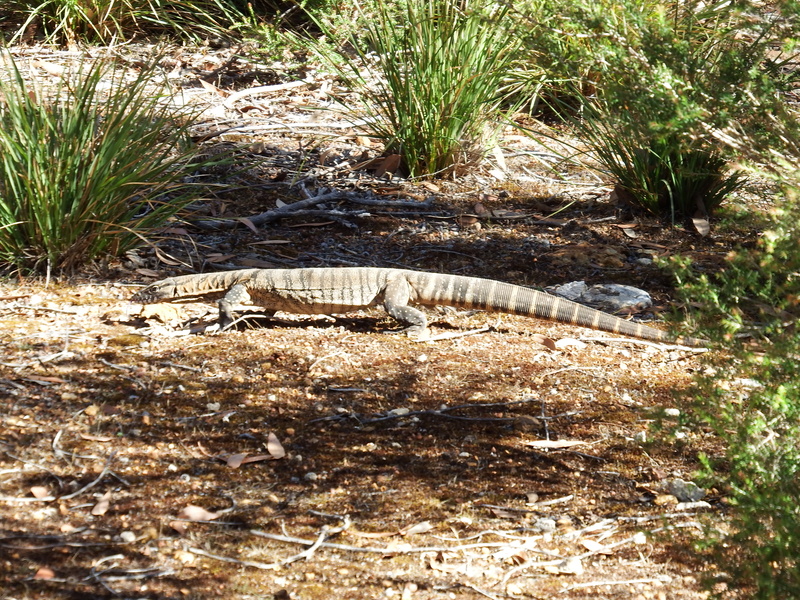 During the day we spotted plenty of birds from the tiny blue wren to the crimson rosellas and even had a visit from a heath goanna. 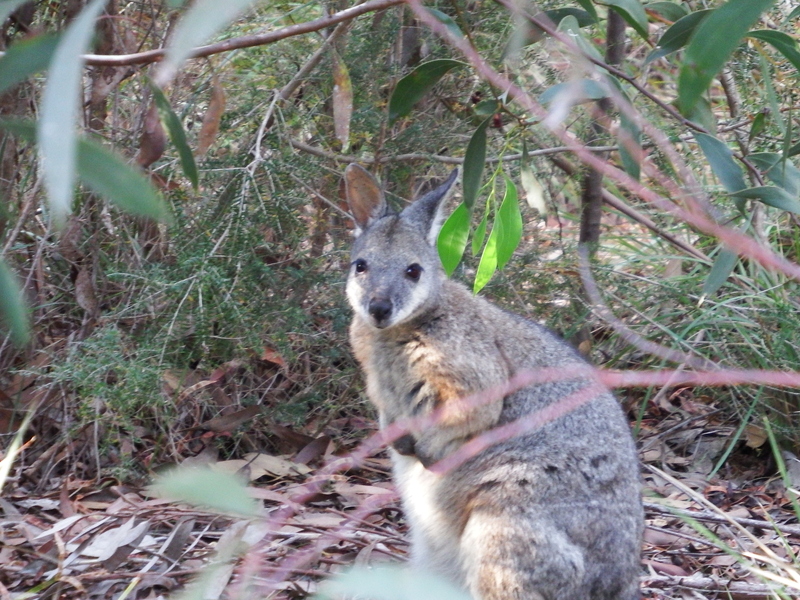 We also spotted some of the tammar wallabies hiding in the bushes between the campsites on several evenings. Thanks for the post. We love KI. 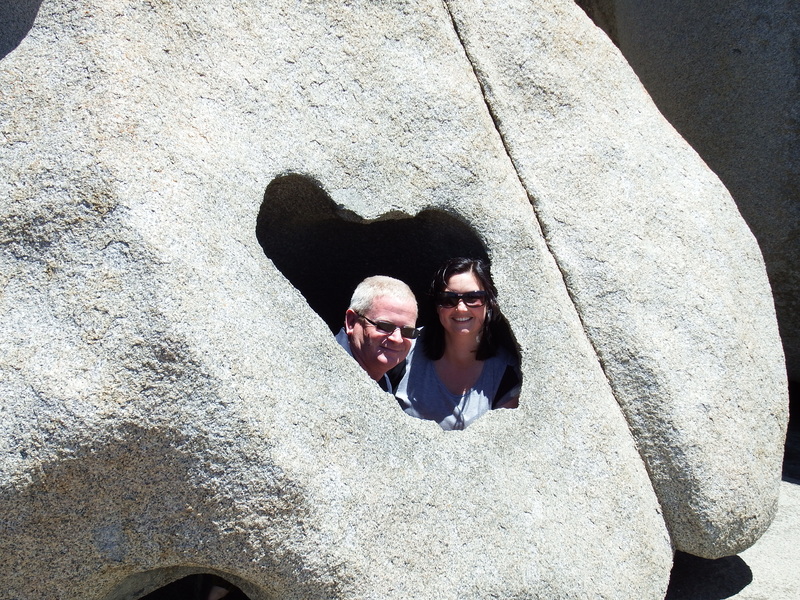 It reminded me to check our blog of our trip there in 2011. We had only written emails. So I’m updating and writing a retrospective blog. You might enjoy the “first post”.